Being a finalist for the Pulitzer Prize for Fiction is just one of many good ways to get your writing noticed. 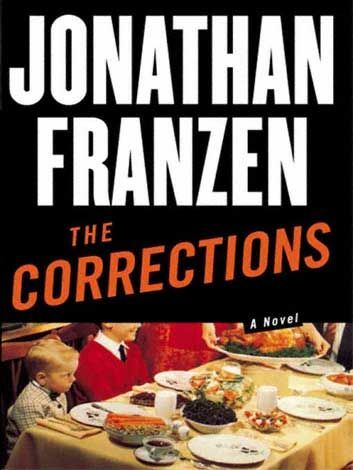 Luckily for Jonathan Franzen, his National Book Award-winning novel The Corrections has been picked up by the capable folks at HBO. Now, screenwriter Noah Baumbach (Greenberg) and producer Scott Rudin (The Social Network) have some equally capable actors to work with. Dianne Wiest (In Treatment) has landed the female lead of Enid Lambert and may star opposite Chris Cooper (Adaptation) who is in negotiations to play her husband, Albert. The Corrections is a sprawling satire of a conservative Midwestern couple suffering from “empty nest syndrome,” among other things. The novel wanders through time, highlighting each of the family members’ successes and mistakes until finally converging at a point where they all begin to correct the individual courses of their lives. Hit the jump for more on The Corrections. Casting news for The Corrections comes courtesy of THR. Rudin, who optioned the film rights for Paramount back in 2001, will executive produce The Corrections series if HBO officially orders the pilot. Franzen will join Baumbach as writers and executive producers on the project; Baumbach is expected to direct. Wiest, who can currently be seen in David Frankel’s The Big Year, had previously spent two seasons on HBO’s In Treatment. Oscar-winner Chris Cooper will appear on screen in James Bobin’s The Muppets later this fall. Check out the synopsis for The Corrections below via Amazon.